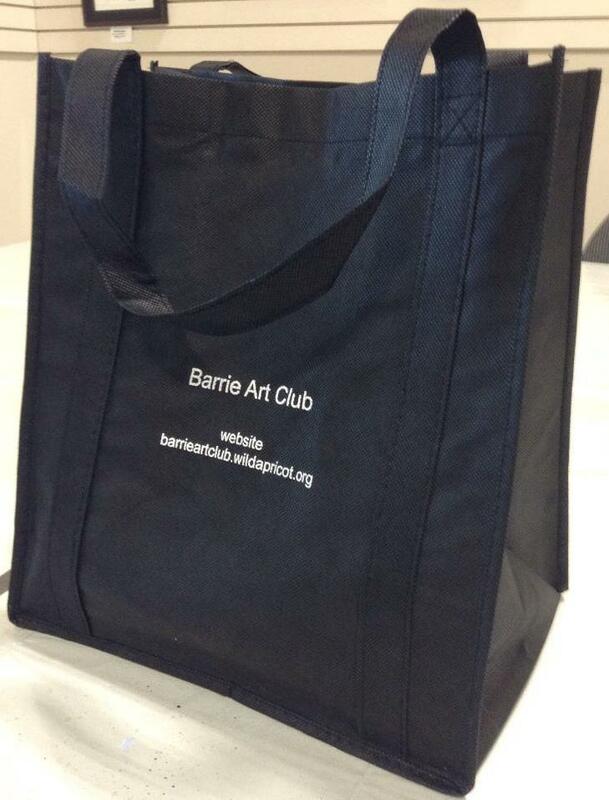 Barrie Art Club Bag 10" x 7.5" - Carry your art supplies in this sturdy light-weight bag. - Pay 'online' and pick up your product(s) at the club. (Bring your receipt to the club showing payment.) - PAYMENT REQUIRED WITH ORDER. Online = PayPal or Credit Card, OR take your invoice to the Barrie Art Club and pay with cash or cheque (made out to The Barrie Art Club).